How Many Carbs Are in Soy Milk? If you're wondering if you can use soy milk on a low-carb eating plan, the answer is "it depends." The carbohydrates in soy milk—as well as other milk alternatives, such as almond or rice milk—can vary greatly between brands, and even within them. Some soy milk is loaded with added sugars, others are unsweetened. What Is in Soy Milk? Fortified soy milk is nutritionally pretty similar to low-fat cow's milk: it has the same amount of calories and protein, cup for cup (100 calories and 8 grams of protein). In terms of carbohydrate, they're also similar: cow's milk has 12 grams of carbohydrates (from the naturally-occurring lactose); sweetened soy milk has 8 to 10 grams of carbs (from added sugars). If the soy milk has been fortified, it'll also give you calcium and vitamins (usually A and D, but also often B12). Unsweetened soy milk does not have sweeteners added to it during processing. As a result, it only has the amount of carbohydrate that it gets from the soybeans: about 4 grams per cup. This also generally brings the calorie count down (to 80 calories per cup), while still delivering 7 grams of protein. The trouble is, soy milk without any sweetener doesn’t taste very good. Probably regular milk without sugar (lactose in milk’s case) wouldn’t taste as good, either. But take heart! There are low-carb solutions to your problem. 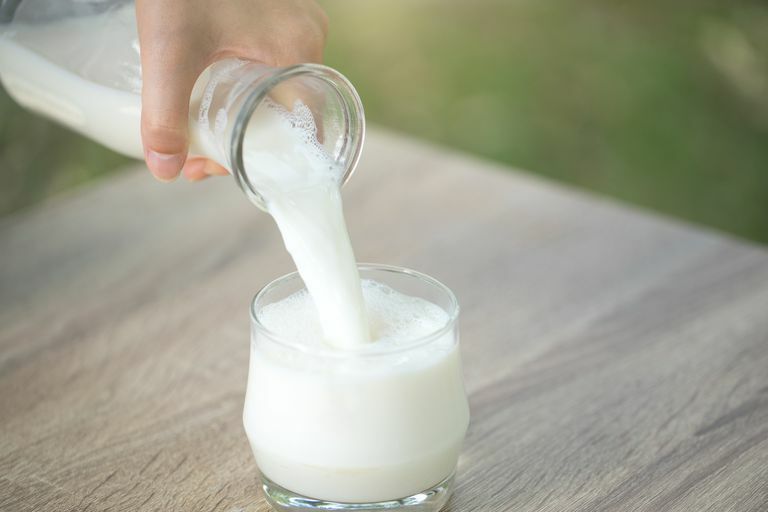 Almond milk, rice milk, and other nut and seed milks are quite different nutritionally from cow's milk and soy milk because they're usually very low in protein. As with soy milk, you can find them either sweetened or unsweetened, plain or flavored. The unsweetened varieties of these milks can be very low in carbohydrate. For uses other than “straight-up” drinking, use plain unsweetened soy milk. This is useful in cooking (as a substitute for milk), shakes, and recipes where other ingredients are adding flavor to the dish. If you're looking to add more flavor without additional carbs to soy milk, add a low-calorie or artificial sweetener and/or a bit of cream. For drinking, buy flavored unsweetened soy milk. Some companies such as Westsoy make unsweetened soy milk in chocolate, vanilla, and other flavors. You can add your own sweetener to taste. Make your own soy milk directly from the soybeans. You can use your stove, or you can purchase a soy milk maker to make your own. Then you can flavor it up to your own taste. You can do the same thing with almonds and other nuts to make delicious homemade nut milks.